The Teenage Mutant Ninja Turtles have had one of the longest and most successful runs of the modern age. The merchandising push behind these heroes in a half shell is still noteworthy today and the toy line is legendary. The first run ran for almost a decade, from 1988 to 1997. With that many action figures, playsets, and accessories, there are bound to be more than a few stinkers. 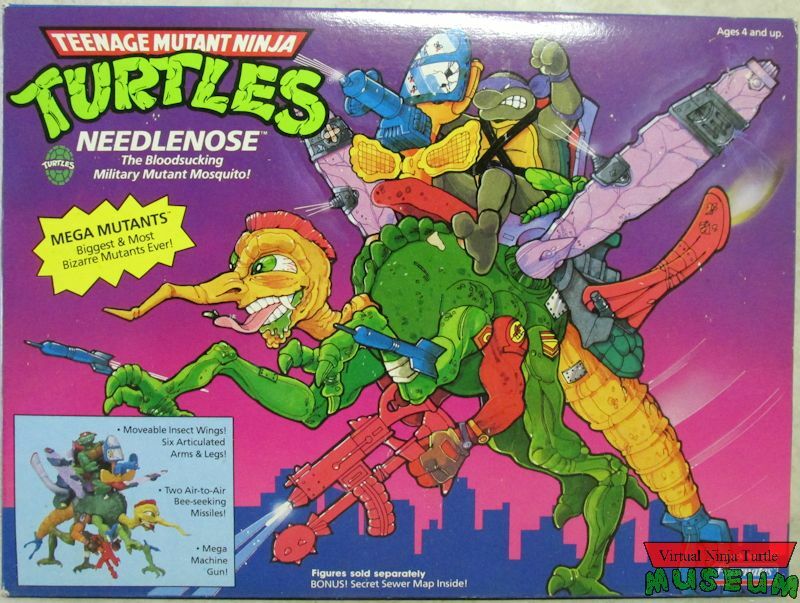 In fact, there are more than enough for a list of the worst Ninja Turtles figures! This isn't meant to take these classic toys down a peg. Instead, this is a celebration of their awfulness. Any toy company can crank out a handful of action figures and playsets for the next big thing. What Playmates did was go beyond the comic or TV show. They were making up characters, vehicles, and situations that left even the most imaginative kid scratching their head. Sure, it was probably a cash grab to bank on a fad before it faded but the company and brand were able to keep this concept alive for a very long time. Can you think of another toy line that recreated "YMCA" hit-makers the Village People? So pop in that old Ninja Turtles VHS and pour yourself a bowl of NTurtles Cereal, Mac and Cheese, or Chef Boyardee (your choice!) 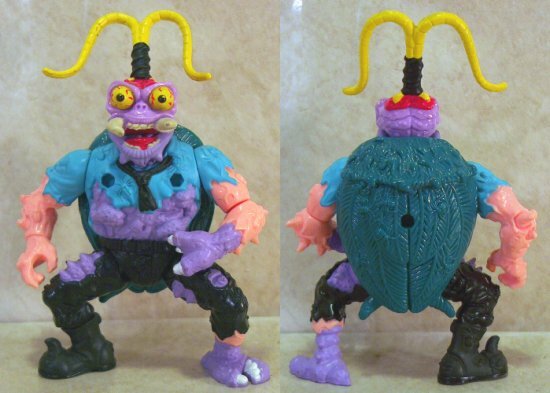 and dig into this ultra list of the worst TMNT action figures ever made! 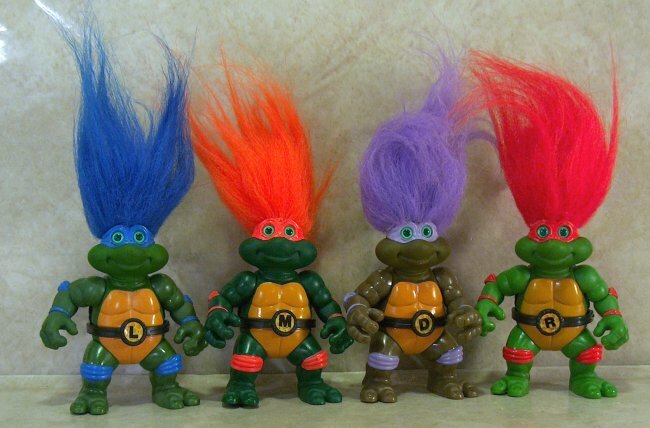 They turned the Ninja Turtles into trolls to create the ultimate in toys no one wanted to play with. Why would the good guys mutate the most annoying animal of all time?! If you mutate a mosquito, aren't you also mutating the West Nile and Zika viruses inside them? 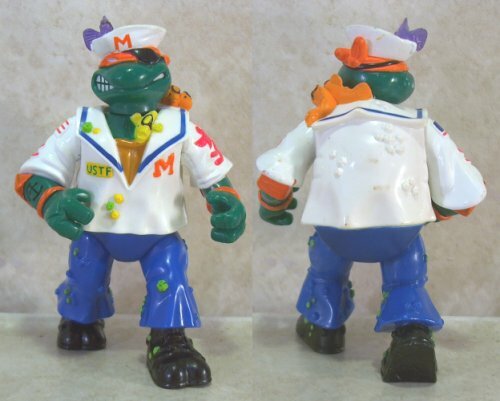 It's even harder to take Mike seriously as a ninja when he's dressed like Shipwreck from the G.I. Joes. Just another mundane white collar employee who grows an mutated Cronenbergian monster with a blonde pony tail.